For over 25 years, internationally recognized British faerie artist Brian Froud has explored the realms of faerie in a wide range of media, spanning a variety of publications that have sold millions of copies, licensed products and feature films. His perennially popular books include the worldwide bestsellers, Faeries, Good Faeries / Bad faeries, Lady Cottington’s™ Pressed Fairy Book, The Faeries Oracle and Lady Cottington’s™ Fairy Album. The success of Faeries led to his landmark work with Jim Henson as conceptual designer on the fantasy film classics, The Dark Crystal and Labyrinth. It was on the set of The Dark Crystal that Brian met his wife-to-be Wendy Midener, an internationally recognized sculptor, whose work is in private collections around the world. 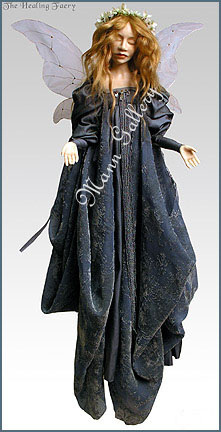 Wendy’s beautiful faerie sculptures have been featured in three books, A Midsummer Night’s Faerie Tale, The Winter Child and The Faeries of Spring Cottage created with and authored by Terri Windling. World of Froud books are cherished by readers of all ages, often handed down to the next generation of faerie lover. 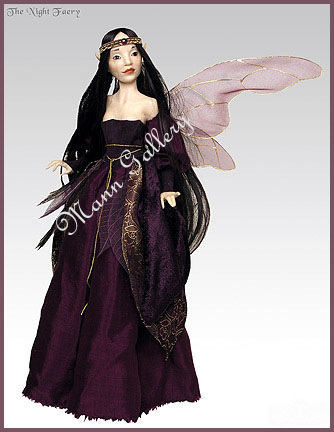 Up until now, Wendy Froud’s hand-crafted doll-sized faeries and goblins inspired by her and Brian’s creations have been available for premium prices only at select galleries around the world. In response to overwhelming international demand, now her creations are here as beautiful and affordable objects of art for the first time. Using proprietary replication techniques that have set the benchmark standard for the accurate duplication of an artist’s 3D work, Wendy’s original sculptures have been faithfully re-produced to scale in limited edition quantities, finely detailed, hand painted and hand crafted under the Froud’s personal supervision and approval. At this time we do NOT know if the Healing Faery is in Green or Blue/Purple or if her hair is a darker red or a strawberry blonde. 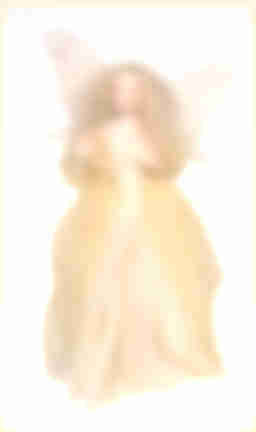 Also regarding the Day Faery: we are not sure if her dress is peach or green-gold. These are slated for Delivery some time in December. As soon as exact details are known we will be posting them. 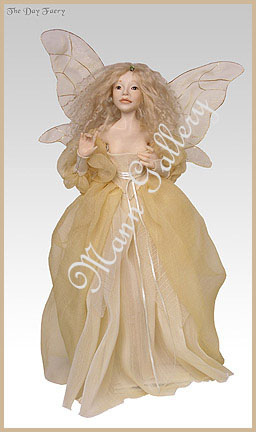 Each 13 inch faery weighs approximately pounds and the Healing Faery is 24 inches and weighs . Each is individually boxed.